It is a very simple card. I first inked the night sky with dusty concord and faded jeans DI. Then i hand cut the "snow mountains" and inked the edges lightly before mounting on the card front. 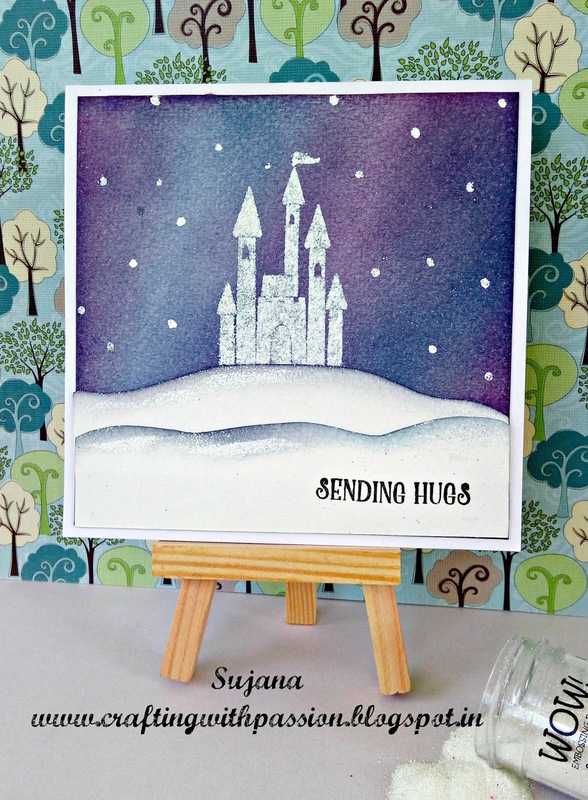 Then i stamped the castle image with versamark and heat embossed it with sparkling white powder. I also drew some snow fall with Ranger emboss it pen and heat embossed it again. Also some snow on the ground. Finally put it all together and mounted it on the card base and stamped the sentiment finally. hope you liked my card. Looking forward to posting more xmas cards soon. It's a wonderful card. I love the ink blended background.. Beautiful colours! Beautiful - love the background blend and the sweet hand drawn snow too. Gorgeous! I love the background you have created. 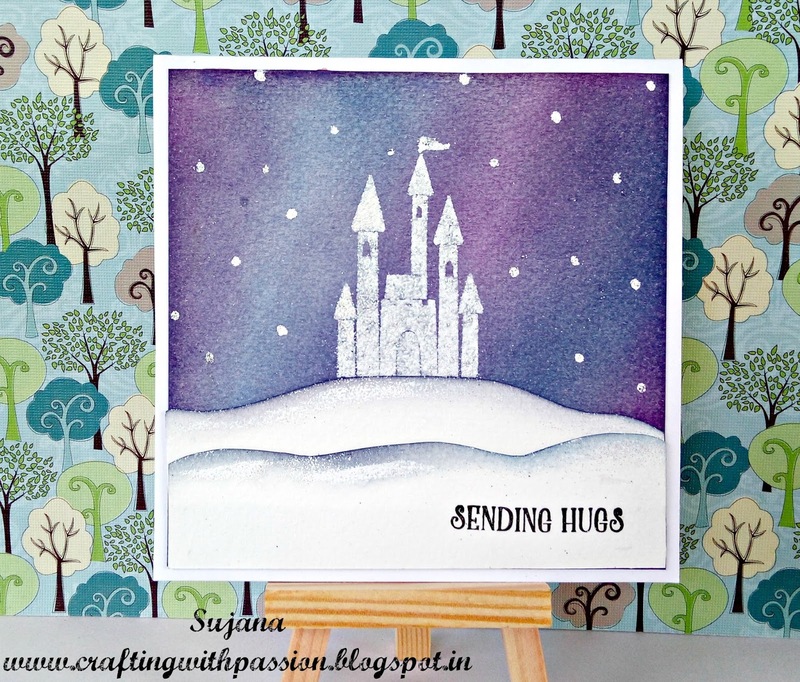 Thank you for joining us at Addicted to Stamps and More. Simply gorgeous! Sorry for the late comment. I would like to invite you to link with us again for our January Challenge at 613 Avenue Create. Have a blessed day!